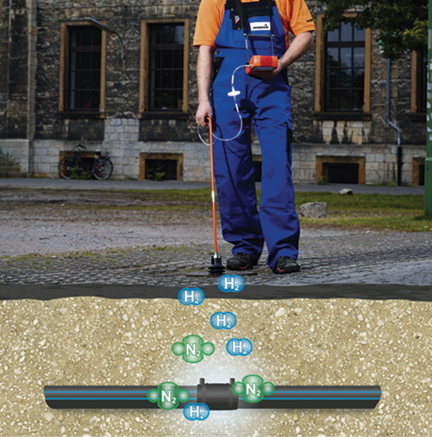 The specialist for leak detection with tracer gas and hydrogen. 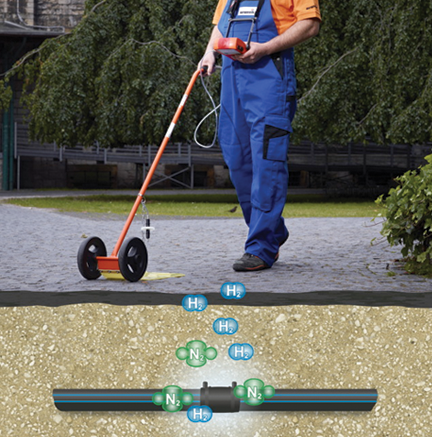 We will locate your hidden pipeline leaks. 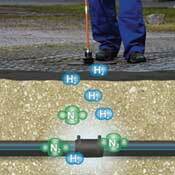 Test location between the freezes, a pressure drop could be watched carefully to locate leaks. We even specialize in leak locating indoors in hard to access locations. International Flow Technologies Leakdog Leak Locating Services continue to find pinhole leaks in many miles of pipelines. We truly find that needle in the haystack. Leakdog services are used to isolate sections of pipelines so hydrostatic testing can be performed on independent sections of pipe. 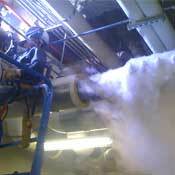 Multiple Freeze points can be performed and maintained by International Flow Technologies’ technicians. Service locations are situated around the United States for quick, local response. By regulation and upon owners’ request, all pipelines in America require continued pressure testing. Because of corrosion and wear, it is important to have an ongoing plan to continue testing pipeline integrity. 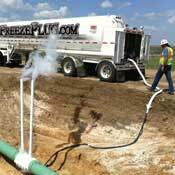 For pipelines that have many miles between valves, or a leak exists but you cannot find it, PipeFreezing is the solution. I used IFT's leak locating services this year and I was impressed. IFT was only onsite as a backup plan on standby and all of a sudden we needed them to shut down a pipline and they did just that. Will use their services again. 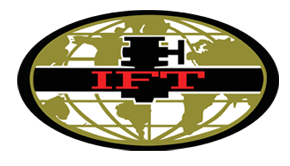 Bookmark this company if you are in the pipeline industry becasuse IFT has all the tools necessary to locate any size leak fast with NO pipe damage and downtime. I am absolutely thrilled with their services! Froze about 10 freeze plugs to help us locate a leak in a crude oil pipe main. Leak was located! Thanks a lot for your help and your services. I already given a 5-star rating, but I also wanted to provide my two cents in case anyone is unsure about using IFT services. 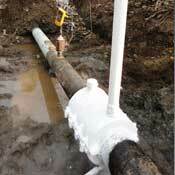 Our 12" crude oil pipeline leak was located in about 4 hours with fast service turnaround. Quality. Saved us a ton of cash.